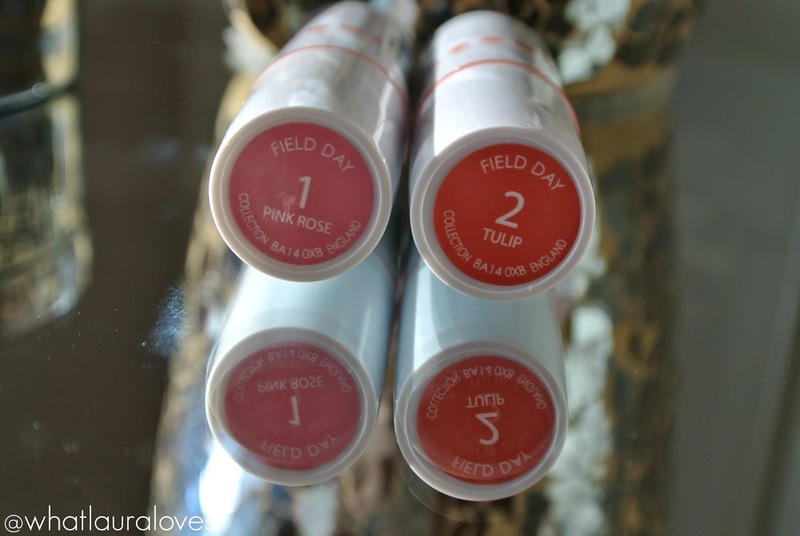 When I found out that Collection had launched their first ever matte lipsticks as part of their new Field Day collection for spring 2015, I knew that I had to get my hands on them. The Field Day collection is a led range inspired by the outdoors and overgrown meadows overflowing with wild daisies as seen on the catwalks at Matthew Williamson and Chalayan. This limited edition line features the most gorgeous springtime shades; think soft pastels mixed with joyful brights girls. It is simply beautiful! The line features three nail polishes, two eye shadow sticks and three lipsticks, two of which have a matte finish and one has a gloss finish. 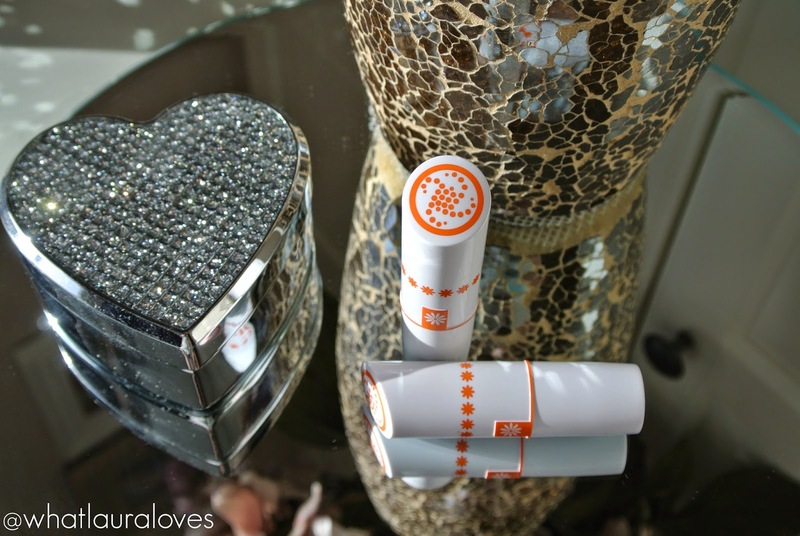 The lipsticks all come in a gorgeous white, orange and silver packaging and I’ve been trying out the two matte lipsticks from the line. 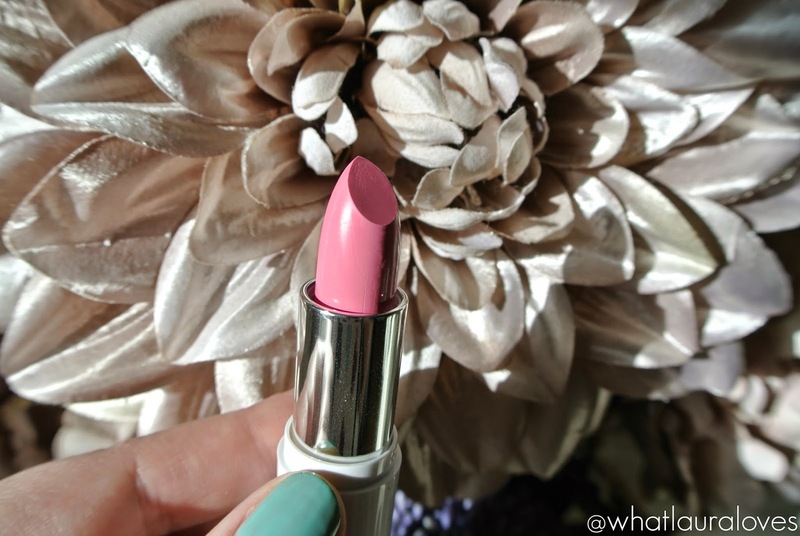 The first lipstick is Pink Rose which is a very pretty bubblegum pastel pink with a blue undertone. 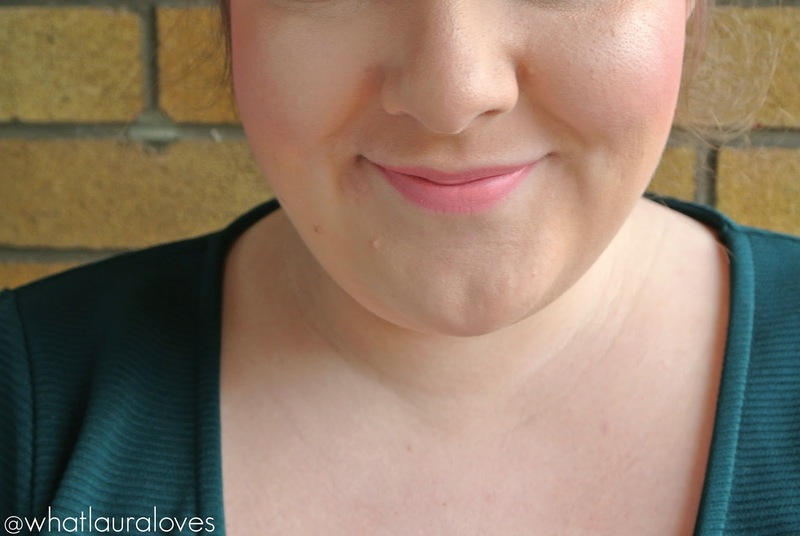 I like cooler toned pink lipsticks like this as I find that they make my teeth look whiter whereas warmer, more yellow toned pinks tend to make my teeth look yellow, which I definitely do not want! 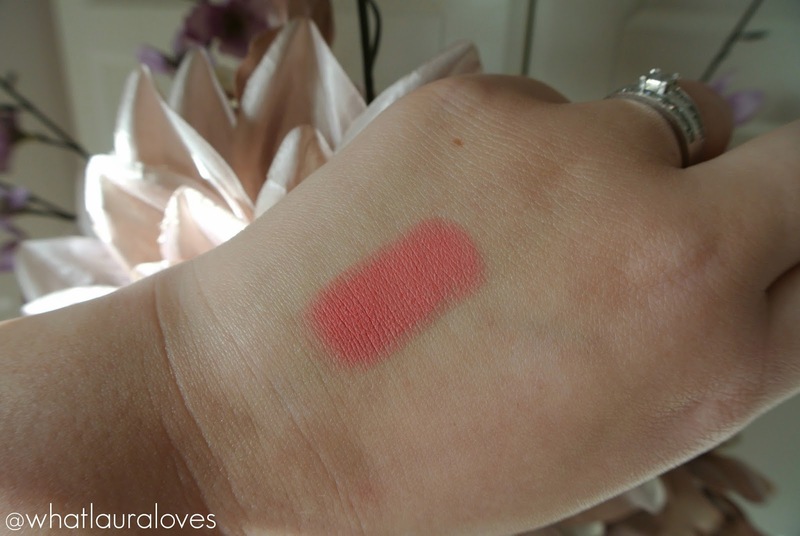 When I heard that this lipstick was called Pink Rose, I was expecting it to be more rose in colour, perhaps with a little more red in the formula but it is more of a powder pink. I wish this lippy was available when I was in my late teens/early twenties as I know that I would have absolutely adored this shade. Back then, super pastel pinks were definitely my thing. 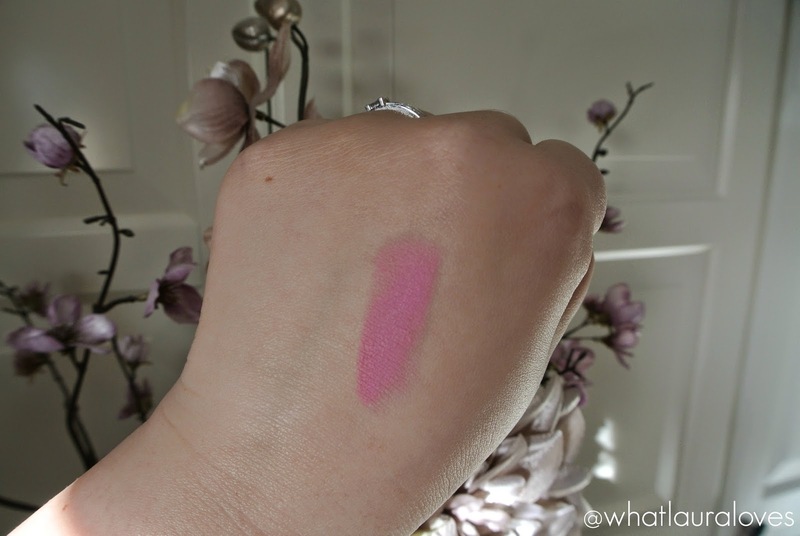 If I had to liken the shade to others in my collection, I’d say that it sits somewhere between MAC’s St Germain and MAC’s Snob in that it is a light, pastel pink but it does have a matte finish. For being such a light pastel pink, I do think that this shade is very wearable. I am most looking forward to wearing it with a dark black and silver smokey eye on a night out as I think that would look really good. Before applying this particular shade, I would recommend ensuring that your lips are smooth and free from chaps as the majority of matte lipsticks out there will cling to drier areas and highlight imperfections in your lips. This is so easily solved, simply use a lip scrub on moist lips or hold a face cloth under touchably hot water and then hold them against your lips for ten seconds (this should feel warm, not burning!!) and then lightly rub your lips either with the face cloth or a clean tooth brush. This should lift away the dead skin cells from the lips and then you can finish up with a nourishing lip balm. I find that this is a beauty step that is better to complete at night so that the lip balm has time to fully sink into your lips. The great thing about matte lipsticks is that they tend to be long lasting because they have a drier formula but you’re not going to feel that benefit if you’re putting it on top of your lips when they have freshly applied lip balm on! 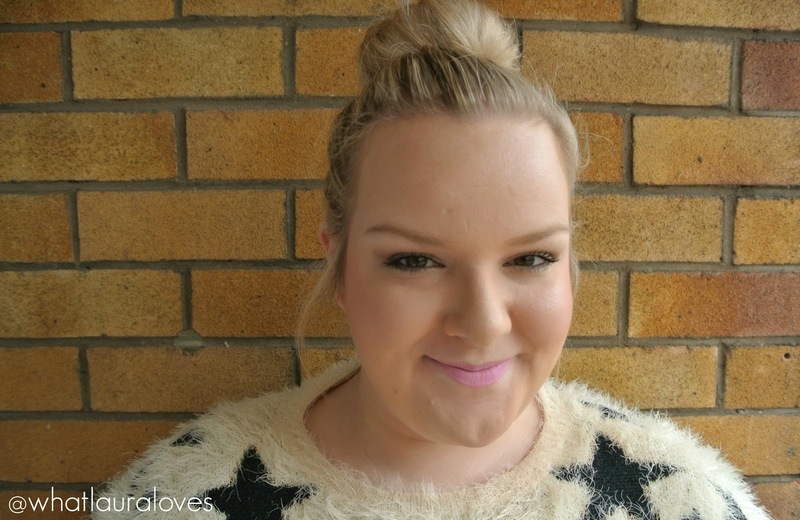 Pink Rose isn’t the driest matte lipstick that I have tried by any means but it does take a little bit more work than Tulip which is the other matte shade in the range. It has a slightly drier, more chalky formula and although it is comfortable to wear, you do have to be careful to make sure that it is applied evenly and not clinging to any imperfections. In contrast, Tulip applies much better than Pink Rose and I think that this has just as much to do with the shade of the lipstick as it does with the formula. 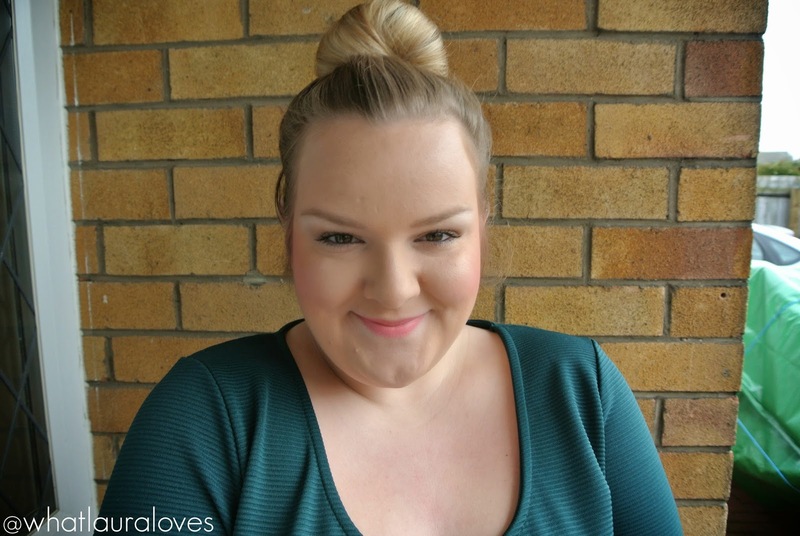 Tulip is a gorgeous pastel coral shade that looks absolutely gorgeous on the lips. It has a subtle way of lifting my complexion and I think that this will only get better as my skin becomes more tanned this summer. 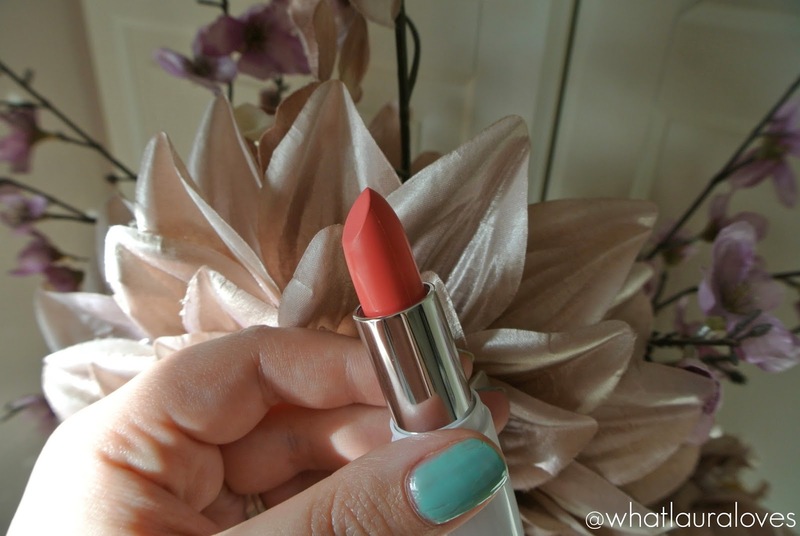 I wear a lot of coral in the summer months and this lipstick is absolutely perfect for me. Tulip is definitely my favourite shade out of the two matte lipsticks that Collection have released. 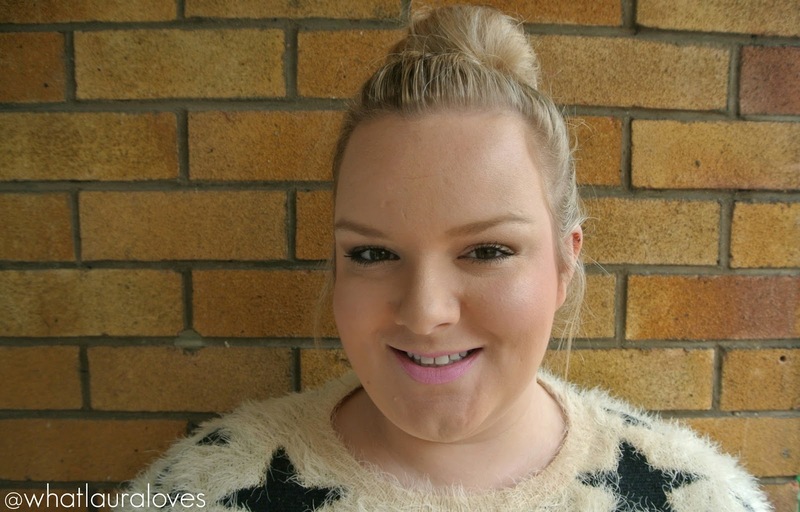 It is buttery soft and glides onto my lips with a creamy matte formula that would really rival even my favourite Charlotte Tilbury Matte Revolution Lipsticks. For only £2.99 it is seriously good stuff and I can definitely see myself wearing this lipstick throughout the whole spring and summer. 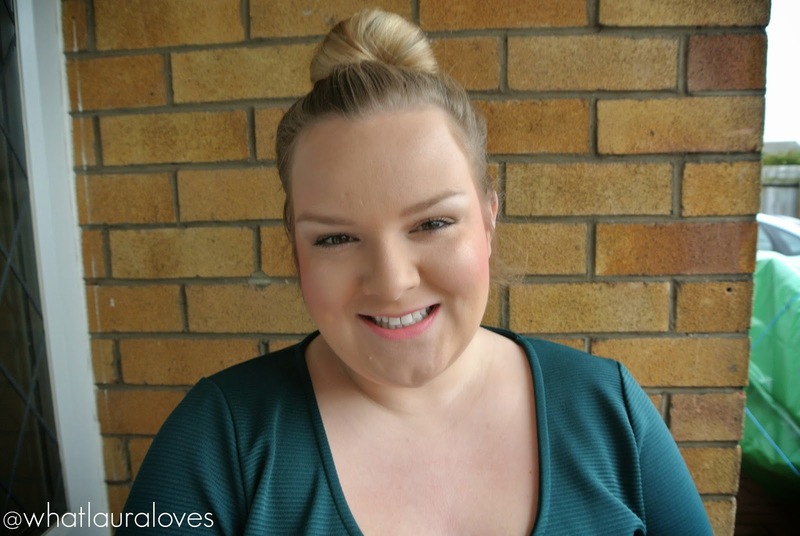 What I love the most about this lipstick is the way that it smoothes effortlessly onto the lips, imparting the most gorgeous opaque colour that looks exactly as it does in the bullet. 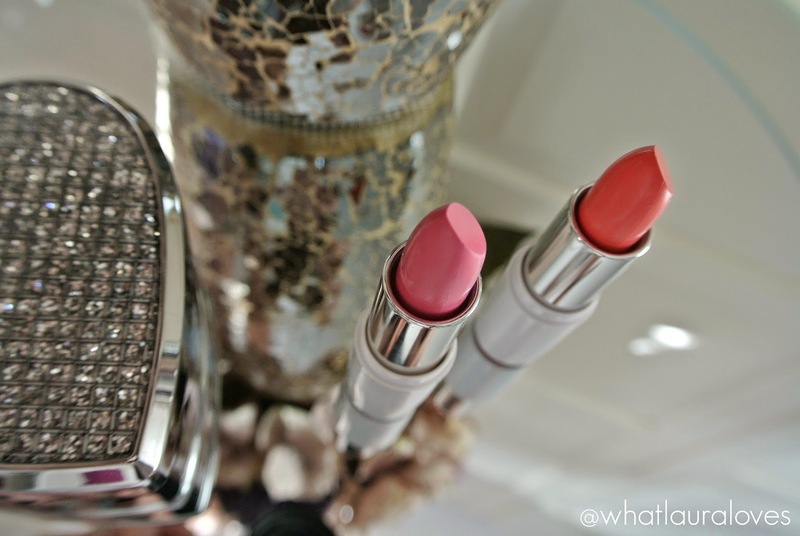 These lipsticks actually have quite a buildable formula. Tulip in particular, needs only one swipe to give a true colour on the lips. Both lipsticks are incredibly well pigmented but you can actually build up the colour on the lips to make it look even more intense. 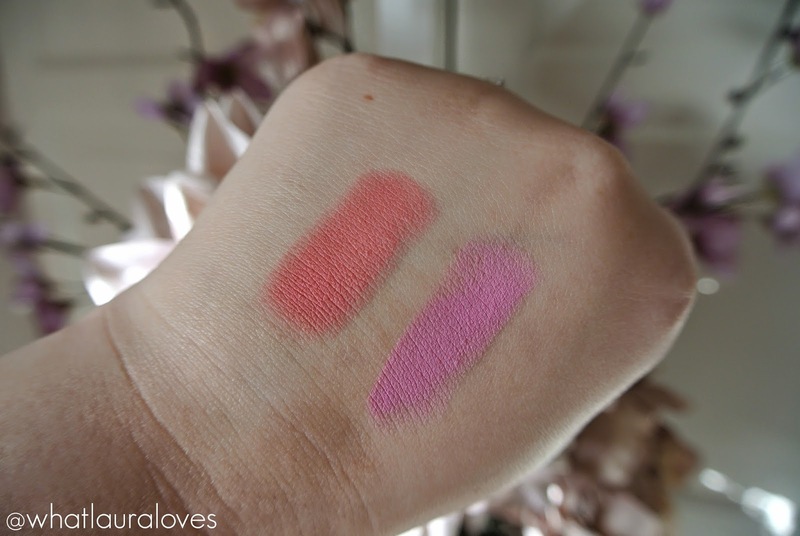 For matte lipsticks, these are really comfortable to wear and while I found that Pink Rose looked more chalky on the lips than Tulip did they both feel very creamy and soft. They didn’t leave my lips actually feeling any drier, unlike a lipstick like MAC’s Ruby Woo that really dries out my lips and they still lasted a long time on the lips and just needed reapplying after eating and drinking. For Collection’s first lipsticks with a matte finish, I am really impressed. The biggest battle that matte lipsticks have is how they feel and look on the lips and these two are lovely. They don’t need to be applied with a lip liner, there is no bleeding with them whatsoever and they need very little maintenance throughout the day. If you’re looking for a spring update to your lipstick collection or you’re wanting to try out a matte lipstick for the first time then I would absolutely recommend these. I’m just hoping that they bring out more shades in this formula in future collections! The Field Day collection has just launched in Superdrug and Boots and I can see it being really popular. 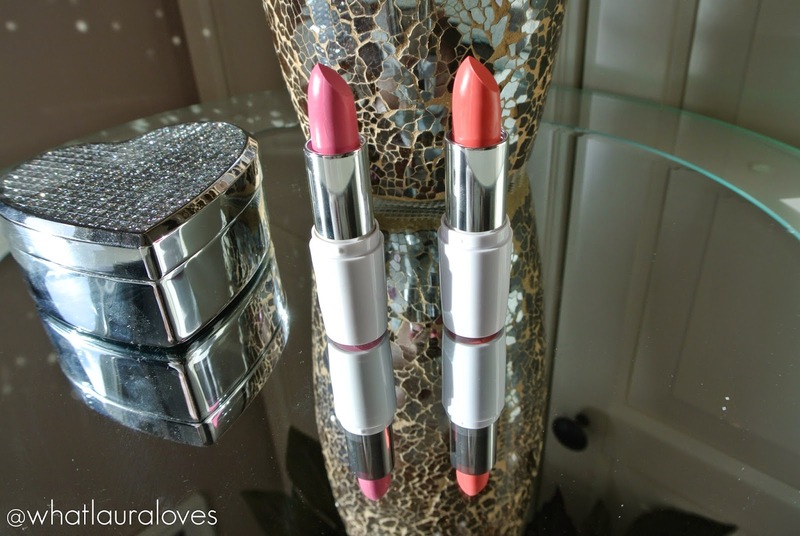 I am loving these lipsticks, especially Tulip and will definitely be checking out the rest of the line! You can buy Pink Rose here and Tulip here for only £2.99 each.